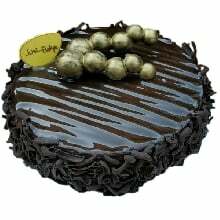 It may be doting parents or grateful children or bosom friends who want to celebrate the birthday of a near and dear one and we are sure you have great plans. 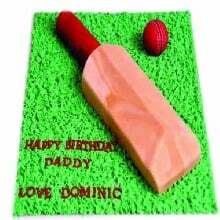 We want you to make it more special and memorable with our range of fantastic birthday cakes. 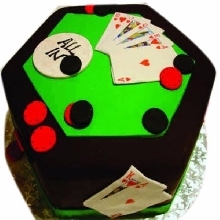 For us at Just Bake birthdays are our inspiration to create some remarkable birthday cakes. 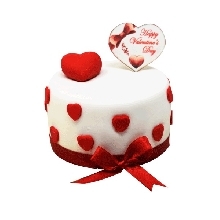 Think of any theme for the birthday cake and you will find it in our birthday cake assortment. 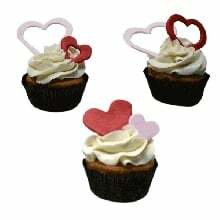 It is said marriages are made in heaven but we say wedding cakes are made by Just Bake. 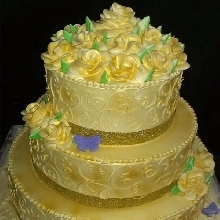 We simply love our eccentric customers who test the creative limits of our world-class chefs by seeking absolutely out-of-the-ordinary wedding cakes. 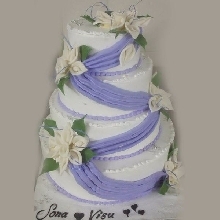 Our chefs come up with breath taking wedding cakes in formats that are sometimes unusual. 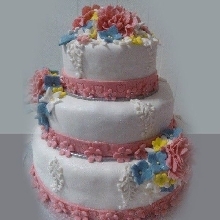 We create wedding cakes to resemble any flower or follow any pattern or depict any color. 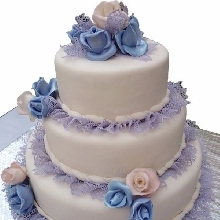 We can create multi-layered wedding cakes or differently shaped wedding cakes. Who does not love fruits? 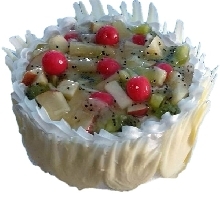 When fruits find their way into cakes then it is double love. 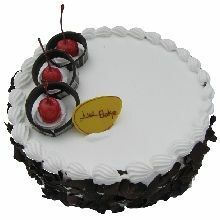 We at Just Bake have taken the art of making fruit cakes to another level. 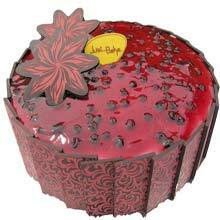 Our fruit cakes are made with candied fruit that undergoes a process that is proprietary to us. Our fruit cakes last longer. 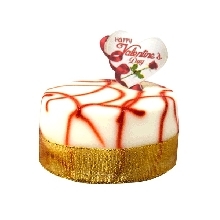 We have a wide selection of fruit cakes that are single fruit based such as banana fruit cake or almond fruit cake. 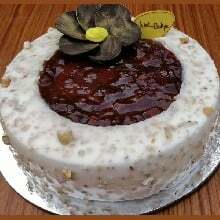 We also make dried fruit cakes and fruit cakes with nuts. A signature is a sign of uniqueness. 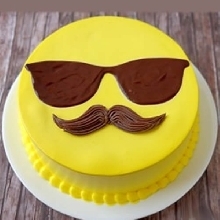 We at Just Bake recognize uniqueness and we go all out to make signature cakes for you that stamp your unique identity. 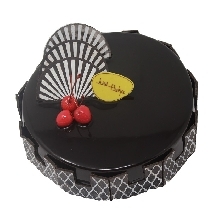 You can choose from our extensive range of chocolate signature cakes, fruit signature cakes and premium signature cakes. Our black currant signature cake or peach and apricot gateau or the rum and raisin signature cake will make your mouth water. 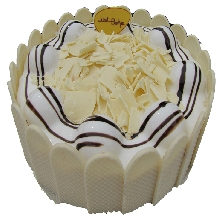 We have some exotic signature cakes too - mocha and Irish coffee. 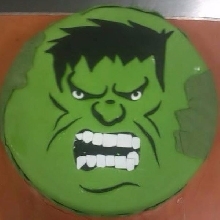 We at Just Bake have perfected the art of making cakes that we can throw a challenge at you. 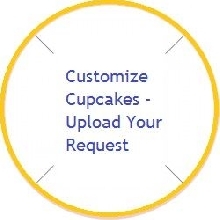 Give us any design and we will bake that designer cake for you. You want your Louis Vuitton bag or a Jimmy Choo shoe or a Ray Ban designer cake for yourself then consider them done. 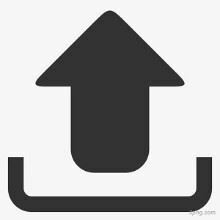 What about your children? They may want a Chota Bheem or a Suppandi designer cake. 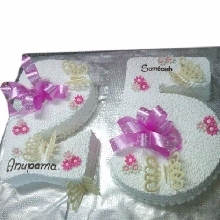 We can give those designer cakes too. 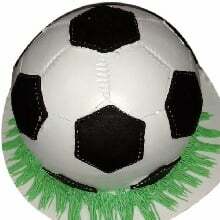 No design is anathema for our designer cakes. 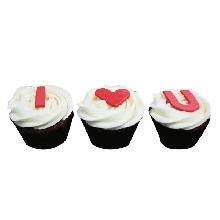 We want to borrow a popular saying to declare behind every occasion there is a cake from Just Bake. 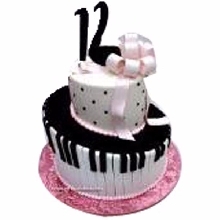 We are proud to say that we have cakes for occasions. 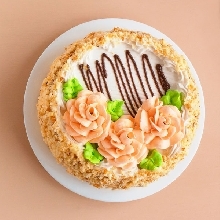 Whatever the occasion, a birthday, a wedding, an anniversary, a victory celebration, a milestone achievement or a reunion, we have cakes for all occasions. 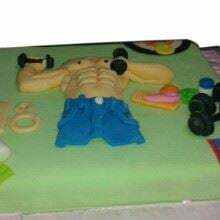 All you have to do is to tell us the occasion and we will iterate with you to come up with the best cake for occasions you would have ever seen. 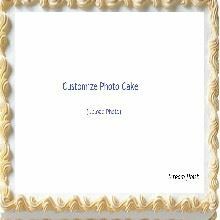 Our photo cakes make an excellent gift to be sent to your near and dear ones. 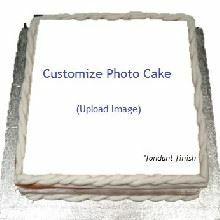 We can get a print of almost anything on your choice of photo cake. 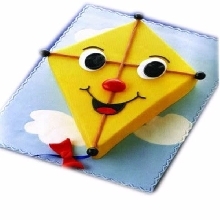 It can be your child's favorite cartoon character or a friend's favourite movie poster or your parent's favorite holiday photo and we will make an absolutely irresistible photo cake that your near and dear ones will cherish. 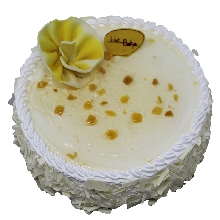 With us, there are limitless possibilities for exquisite photo cakes. At Just Bake we are delighted to inform you that we produce mouth watering proprietary cookies besides our assortment of proprietary cakes. Our tea time cookies range is the ideal accompaniment to your tea or coffee. Our biscuit range cookies are so versatile that you need no occasion to consume it. Our assorted range cookies are crisp, soft and assorted. 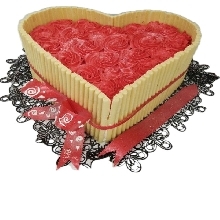 Our delectable cookies can be ordered online with various payment options and we will deliver them anywhere in India.